My Ward colleague, Cllr Martyn Cox, has just informed me that Bolton Council have agreed to fund a £220 million infrastructure bid; a bid which includes a Westhoughton bypass. This is excellent news for our town. 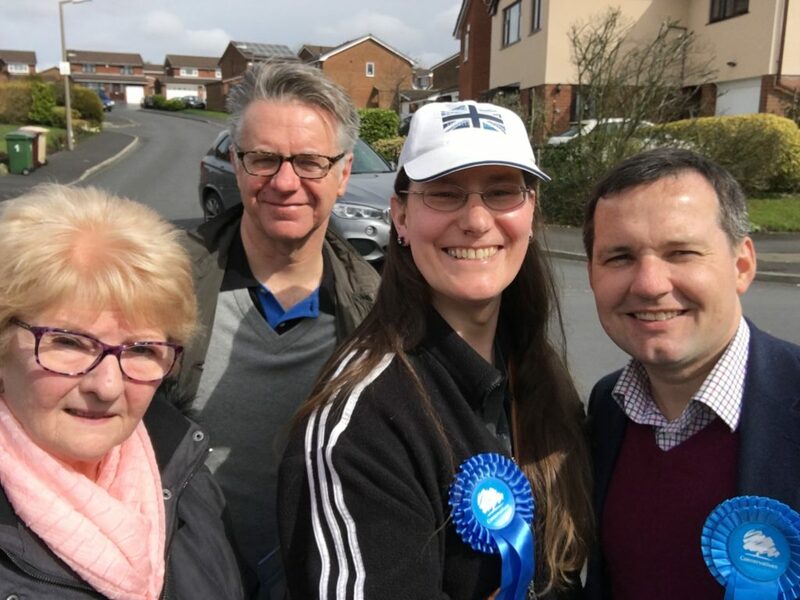 Your local Conservative team (left to right: Cllr Christine Wild, Cllr Martyn Cox, Cllr Zoë Kirk-Robinson and Chris Green MP), campaigning hard for you; on roads and more. I’ve called for an upgrade to our road network and infrastructure for many years now. Westhoughton needs traffic taken off its over-capacity road network and it needs what should be fairly quiet, residential streets to not be constantly full of traffic. In 2016, I created this short film about the traffic problems we face in Westhoughton. Since then the situation has changed but not for the better – we now have the threat of 1000 houses and a golf course off Chequerbent, plus hundreds more houses across the town. With all this house building, we will now be over capacity according to the 2016 figures. I absolutely welcome this new bid, I think it will be an excellent move that will strongly benefit our town. As long as it’s a real bypass and not a backdoor method of allowing building work on the green belt, I’m all for this. Westhoughton needs a new road to take the traffic we already have; not as a slipway for traffic of the future.